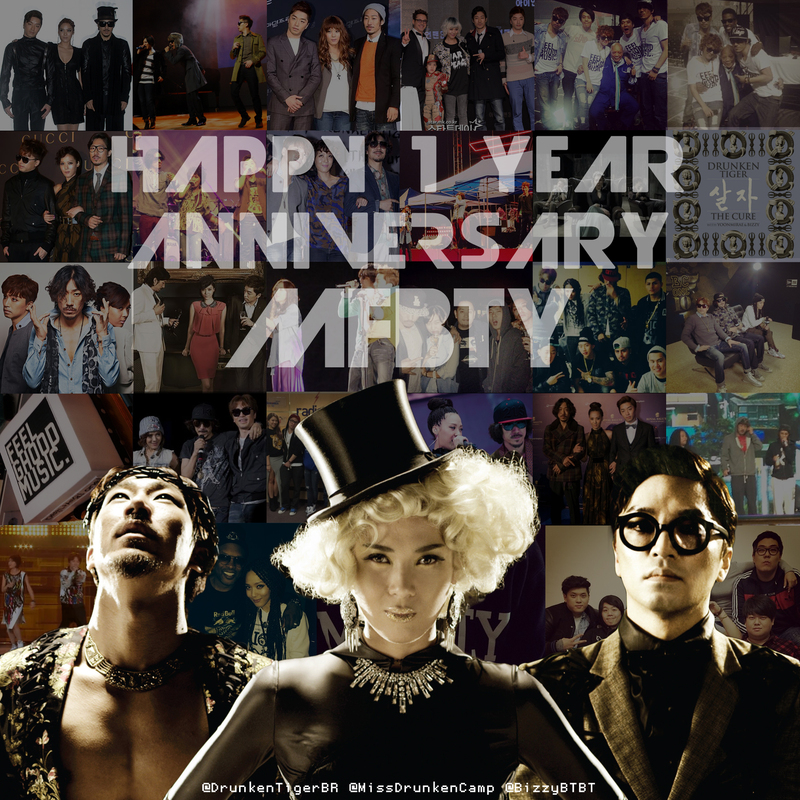 January 21st, 2014 – Today marks a full year since Bizzy, Tiger JK, and Yoon MiRae collaborated to form the group, MFBTY (My Fans [are] Better Than Yours). The collaboration was initially a temporary project, but unofficially became their stage moniker as the three artists continue to perform together to this day. Although the release of Drunken Tiger’s 9th album, “The Cure,” rebranded the three as solo artists again, fans still recognize the three as their collaborative name. They are definitely here to stay, so let’s look back on the past year’s moments that made an imprint in our minds. This day marked the official debut of the group and the release of their first EP record, “Sweet Dream.” Since only a limited amount of EPs were actually printed, the majority of the promo was online via their music video produced by Lumpens. “Sweet Dreams” release also featured the debut of their new DJ, Smellz, who specializes in a mix of hip-hop, house, and other club style music. One of the world’s largest music industry conference’s, MIDEM, invited MFBTY to represent Korean hip-hop for the global music community. In a rare instance, we got to see the three become “industry panelists” and answer an open Q&A with attendees. We also saw Bizzy bust out his French, and Tiger revealing how die-hard of a shopper Tasha is. Legendary song writer and multi-grammy award winner, Quincy Jones, held a special concert in Korea to celebrate his 80th birthday. 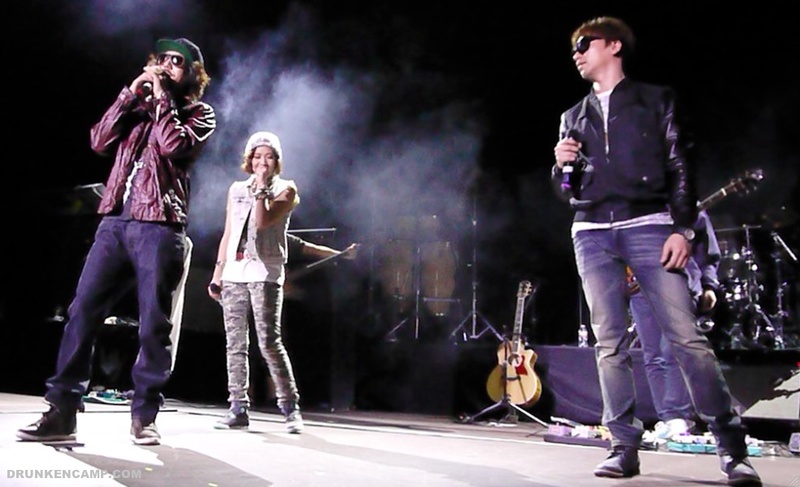 Amongst the guest performers were MFBTY, whom he previously praised when he met them in 2011. This was their first performance after announcing the opening of Feel Ghood Music. Technology has made it possible to put on the most unique concerts. Thanks to Google, the September Beyond KPOP concert made it possible for fans to be at a live show without actually being there. Hundreds of MFBTY loyalists woke up at 5AM EST just to make sure MFBTY would see their faces on the live screen during the show. How does an album have virtually no mainstream promotion and still make it to the #1 on five major music downloading sites? Claim it as Drunken Tiger’s 9th album (after 4 years), add Yoon MiRae and Bizzy, and the byproduct is magic. This record was a complete 180 from past Drunken Tiger albums: chill, sentimental, simple. However, its overall message is what makes this album one of the top DT albums ever released. The album was a sudden project that was inspired by JK’s father, Suh Byung Hoo, who was diagnosed with stage 4 cancer two months prior to the release. JK had searched for the one inspirational moment for him to drop an album, and this was it. The lyrics to the title single, “The Cure,” encourages those physically and emotionally down to pick up their strength and keep going. Since the group was also starting as a fresh independent label, this was a metaphorical message for themselves that they could overcome the struggles that many new indie labels endure. The trio has performed in the US before, but only as solo artists. Kollaboration Star, which showcases rising US Asian-American talent, invited MFBTY to be their guest celebrity performers in November. 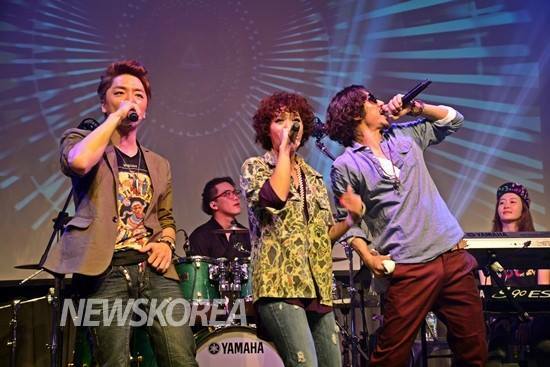 In a unique twist, MFBTY was given an hour or so long set, performing new and classic songs with their full band. Only fans in Korea are given that privilege, and even then, it’s sparse. Other performers who joined them on stage were David Choi and “Jetpack” feature, Styliztik Jones. This was the first time that they performed non-single songs from the 9th album, such as “Time Travel.” Their LA trip also led to many international opportunities, such as the invite from FuseTV for an interview. There were other great moments in this past year, but these were the biggest moments that did it for me. Happy 1 year, fam. 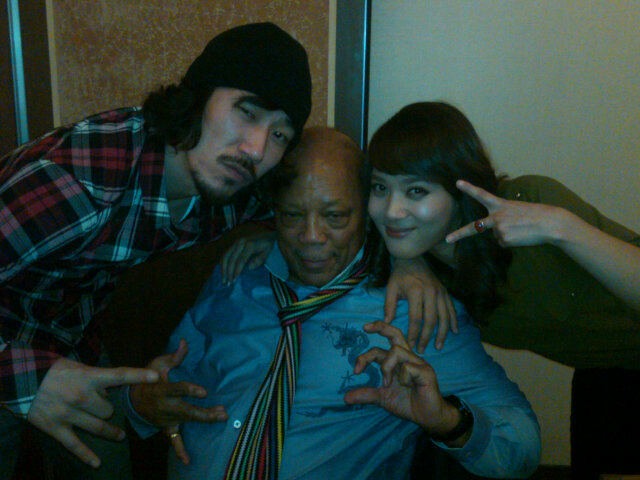 In a recent visit to Korea, legendary producer and songwriter, Quincy Jones, had a chance to meet with some of the country’s top artists including Tiger JK, Yoon MiRae, BoA, and some other YG artists. He added he was usually very stingy with his praises to artists, but he had to be lavish at this time.